Encyclopedia of the Solar System - Second Edition: I have a hardcopy of the first edition that I got as a birthday present almost a decade ago. The second edition continues the high standard set by the first and includes updates since the first's publication. 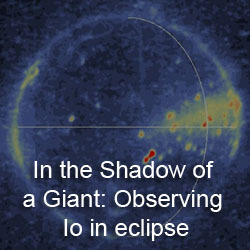 The Io chapter by Rosaly Lopes provides a nice overview on the science of Io's surface and interior, but four missing pages in Google Books copy cover topics such as the Galileo mission at Io and the various Jovian magnetospheric interactions with Io. Jupiter: The Planet, Satellites, and Magnetosphere: This book was intended as an overview of what we knew about the Jovian system at the end of the Galileo mission. 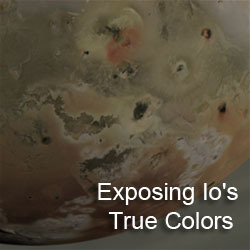 The book includes a 22-page chapter on the geology and composition of Io's surface by Galileo Imaging team member, Alfred McEwen and others. Only once page is missing due to a scanning error. The more extensive coverage of the Jovian system also allows for separate chapters on the Plasma torus and Io's interaction with its plasma torus and Jupiter magnetosphere (though some of those suffer from more missing pages). 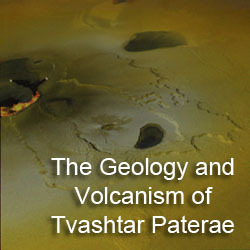 Worlds on Fire: Volcanoes on the Earth, the Moon, Mars, Venus and Io: This book by Charles Frankel covers volcanism throughout the solar system and includes an extensive chapter on Io and several of its volcanoes. A more general audience is intended with this offering so this might be a good choice for those looking for a more general overview than those previewed above. This book is more limited in the number of pages you can view before it cuts you out and has more missing pages than the selections above. For laughs, you can always read Europa: The Ocean Moon by Richard Greenberg. Offers a nice scientific overview, if you can forgive the blatant Europan propaganda and the fact that it doesn't give a balanced overview of the whole thin-ice vs. thick-ice issue that brewed on the Galileo team. You can read my original review of this book on my old Titan blog.